iScripts SocialWare is an open source, social networking software that allows you to quickly launch a social networking website comparable to the most popular social media sites available today. Similarly to Facebook.com, your users can create a profile, use a newsfeed, search for others, and control their own wall. Comparable to Ning.com, you can create a community for fans and hobbyists, who have comparable interests. If you have an existing business, you can create a community for customers or potential customers to communicate with each other and your brand, which will add value for your existing customers. iScripts SocialWare allows you to create your own social network offering the same impressive website features found on Facebook, LinkedIn, Google + and Ning. Since unique functionalities have made these social communities popular, iScripts SocialWare allows you to offer the same exciting features as the big players - and in most cases, even more! Create social communities for small or large groups like classes, local clubs, professional network alliances or romantic networks. iScripts SocialWare includes the largest selection of features and modules - all built right into your site and included with your purchase! 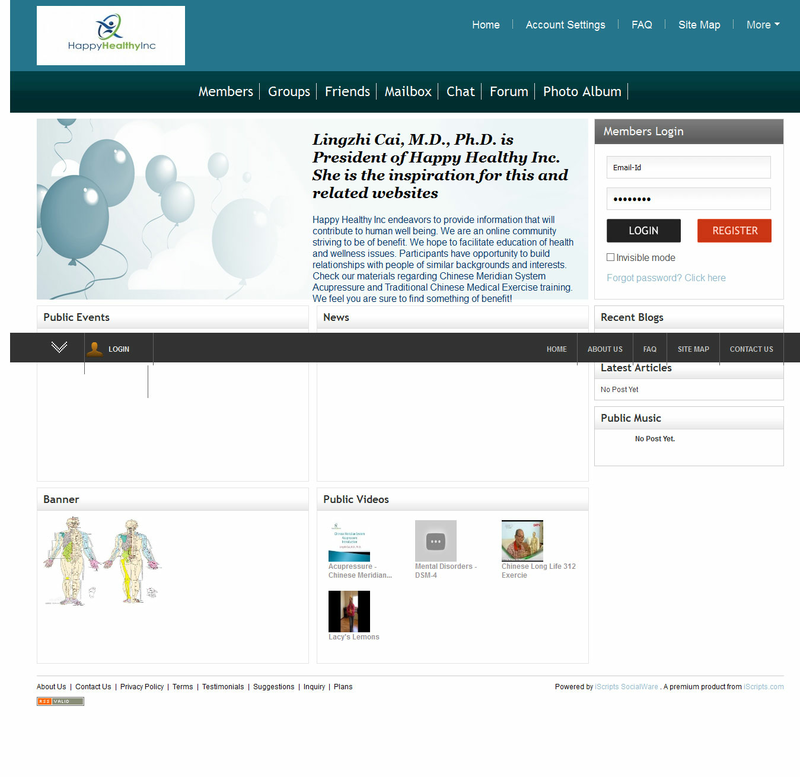 These features include: personal messaging, chat, search features and photo albums. This PHP social community script is very user-friendly and graphic intensive for site administrators as well as users. The built-in tools allow you to provide your users with some of the best social networking features available while also enabling you to monetize your website using membership fees, ads, virtual gift shops and more. 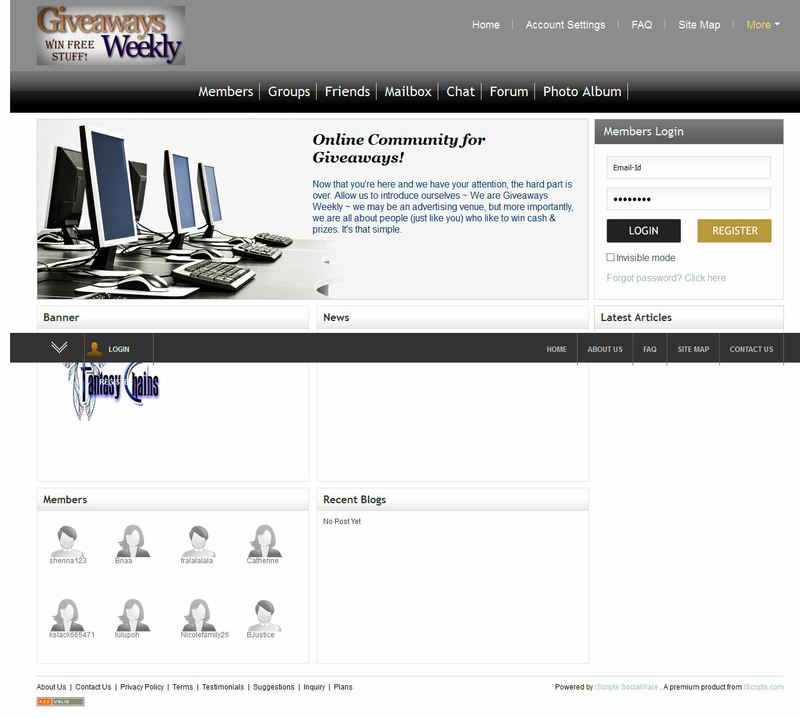 Some of our customers use iScripts SocialWare to develop a niche site or community of members with similar interests. Others plan to develop a large network for a very general audience. Businesses use this social community platform to increase sales, purchases, and awareness while strengthening relationships with existing customers. Regardless of your specific purpose, the software is easy to use and install on a server of your choice. After initial setup, you will begin by adding your own logo, theme and site content. Determine which features will be available to users by choosing from a large selection of professional modules. Once you attract users, your new community can begin interaction using the enjoyable and engaging social network platform. Once your social networking script is installed on your server, you will have complete control over your community as the site administrator. If you are unsure of how to perform installation, we also offer a convenient installation service. 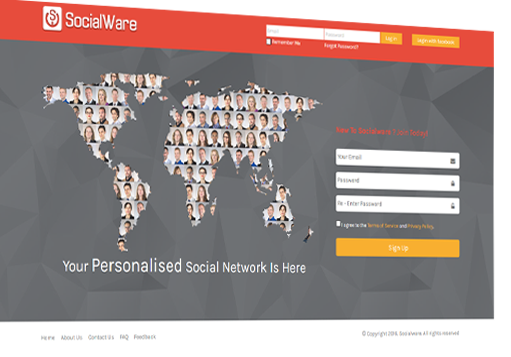 As an open source PHP social networking script without code encryption, iScripts SocialWare can be customized at any time in order to fit your specific site and business needs. To modify or expand your website, you may use your own programmer or request a quote from our affordable PHP programmers at iScripts. Create an independent social network of your own or even expand on an existing business by connecting your brand with existing and potential customers. iScripts SocialWare enables you to create a fully loaded social community consisting of features your audience is already accustomed to, along with new and exciting features that are not offered anywhere else! After your one-time purchase of the script, you have full control over your social network forever.